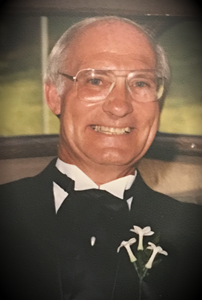 Newcomer Family Obituaries - Charles D. 'Chuck' Malloy, III 1935 - 2019 - Newcomer Cremations, Funerals & Receptions. Charles D. “Chuck” Malloy, III, 83, of Dayton, OH, passed away on April 12, 2019. He was born on November 1, 1935 to Charles and Virginia (Cummings) Malloy in Dayton. Chuck was a great athlete who excelled in many sports, setting records for UD and semi-pro Dayton Colts Football for many years. Inducted into the Football and Baseball Halls of Fame. He bowled many 300 games, outstanding golfer with several holes-in-one. He retired as a well accomplished salesman. He was a great family man. Chuck is survived by his loving children, Chris (Lisa) Stovall, Laura (Doug) Oakes, Mark Stovall, Chuck (Debbie) Malloy and Erin Jordan; many grandchildren and great grandchildren; siblings, Louis (Anne) Malloy and Ginny Hoops; sister-in-law, Barb Malloy; brother-in-law, Don Porter; son-in-law, Mike Farquhar; and many other beloved family and friends. In addition to his parents, he was preceded in death by his wife, Jan Malloy; children, Debi Farquhar and Doug Stovall; and siblings, Glen Malloy, Pat Malloy and Sharon Porter. Visitation will be held Monday, April 15, 2019, from 5 to 8 pm at Newcomer Beavercreek Chapel. Funeral services will be held on Tuesday, April 16, 2019, 1 pm at Newcomer Beavercreek Chapel. Interment at Dayton Memorial Park Cemetery. To leave a message for the family, click the Share Memories button above. Add your memories to the guest book of Charles Malloy, III. Rest In Peace old friend. It was great playing for you and winning a national championship. Tell the guys (Kimmer, Luebbe, longnecker and mike jones ) that we miss and love you all. I am so sorry for your Families loss. I worked with Chuck for years at Executive Fund, and he was a kind and funny gentleman, and he will be deeply missed by all. Our condolences for your loss. We both loved "Big" Chuck and share many fond memories of time spent with him and that great smile! Our prayers are with you all. So sorry fro your loss of your father and grandfather. You have my deepest sympathy. Chuck was a great man. I know Chuck from Heartland. He was a kind and sweet man. He was always willing to help others and give a hug. He will be greatly missed. I had such a great time when we DJ'd his birthday a few years ago! What a neat guy! My thought and prayers are with you!